While cake cools, prepare the frosting. In a medium microwave-safe bowl, combine the 1/2 cup brown sugar, butter and milk. Heat in 30-second intervals, stirring after each interval, until mixture boils and sugar dissolves, about 90 seconds total. Stir in vanilla. Gradually stir in powdered sugar, mixing with a spoon until mixture is smooth and creamy. Drizzle warm frosting over cooled cake. Top with remaining chopped walnuts, if desired. Grate cheese. Let butter and cheese soften together in a large bowl. Sift flour, salt, cayenne pepper together. Mix all ingredients together with hands. This will take a bit of time. Keep squeezing and working the ingredients and it will gradually stick together as a ball of dough. Pinch off portions and roll each portion between hands to make a small balls. Press with fork after placing on parchment lined cookie sheet. Bake at 350 degrees for approximately 20 minutes. Puree along with basil leaves and return to pot on medium heat. Stir in heavy cream and butter. Heat over medium heat until butter is melted. Do not boil. Place slices of Italian baguette bread on cookie sheet. (Publix Bakery sells freshly baked Italian baguette bread and will slice it for you.) Brush with melted butter and toast by broiling on low until lightly toasted. Ladle soup into ovenproof individual bowls. Place toasted bread slices on top. Add shredded mozzarella cheese on top of bread and then put two slices provolone cheese over all. Put bowls on cookie sheet and return to the oven. Bake at 375 degrees until cheese is thoroughly melted and lightly brown—about 10 to 15 minutes. ​3/4 to 1 cup shelled pistachios. Place cocoa powder along with one cup half-and-half into a medium saucepan over medium heat and whisk to combine. Add remaining half-and-half and heavy cream and whisking. Bring mixture just to simmer while stirring. Remove from heat. In medium mixing bowl, whisk the egg yolks until they lighten in color. Gradually add sugar and whisk to combine. Temper the cream mixture into the eggs and sugar by gradually adding small amounts until about 1/3 if cream mixture has been added. Return all to saucepan and place over low heat. Continue to cook and stir until mixture thickens slightly enough to coat the back of a spoon and reaches 170 to 175 degrees. Remove from heat and let sit at room temperature 30 minutes. Stir in vanilla. Put in container and place inrefrigerator uncovered until chilled enough to place container lid on without condensation forming. Cover and store 4-8 hours or until temperature is 40 degrees or lower. Process in ice cream churn using 5 cups ice to 1 cup ice cream salt ratio. Churning will take approximately 25 to 35 minutes before it stops. Take out dasher and pack ice cream down. We stir in 3/4 cup shelled pistachios at this time prior to picking ice cream down. Put cork in lid and pack fresh ice and ice cream salt around canister and cover with heavy towels. Allow three to four hours for ice cream to harden. *This makes two quarts. Adjust amount for your ice cream freezer. Beat the sugar and eggs with a mixer until thick- about three minutes. Set aside. Pour milk into a medium saucepan and bring to a simmer (not boiling) over low heat. Gradually drizzle hot milk into egg mixture while whisking vigorously. Pour the whole mixture into the saucepan. Cook over low heat, stirring constantly until the mixture is slightly thickened enough to coat the back of a metal sooon. Do not boil. Remove from heat and whisk in the peanut butter. Allow to cool slightly. Then whisk in sweetened condensed milk, half-and-half cream, and vanilla. Cover and refrigerate until chilled. We usually chill overnight in the refrigerator along with the empty churning canister. The mixture may need stirring after chilling. Pour into the ice cream maker and freeze according to directions. Usually 1 part ice cream salt to 8 parts ice around the churn in layers and churn until it comes to a stop. Our churn takes about 25 minutes. When done churning, remove the paddle and stir in chopped peanut butter cups. Replace the lid and plug the hole in top with a cork. Top around the freezer with more crushed ice and ice cream salt, keeping the ratio of 1 part salt to 8 parts ice. Cover with towels and allow the ice cream to harden a few hours. Perfection! 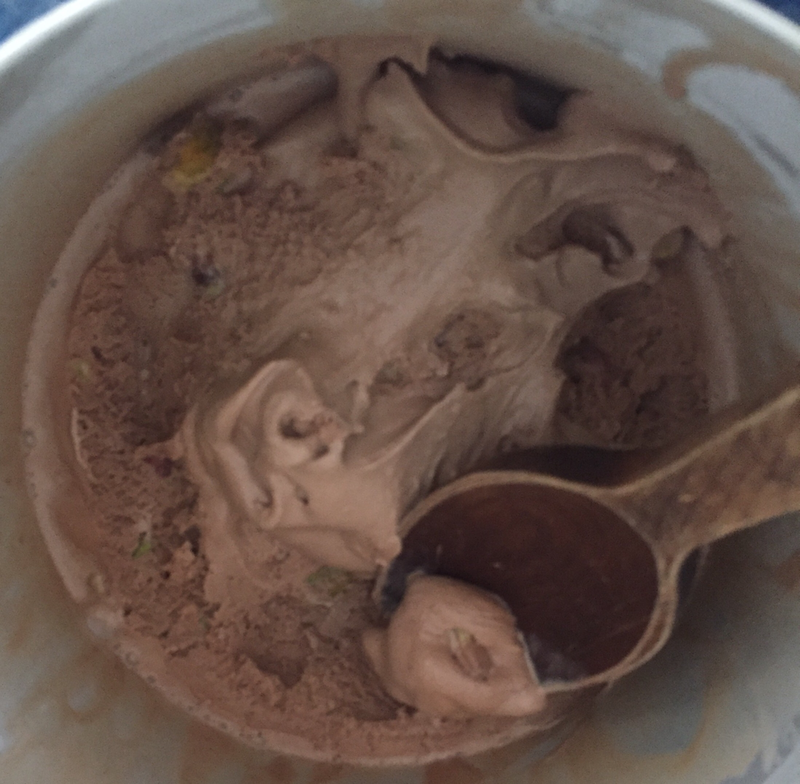 Don’t rush ice cream. 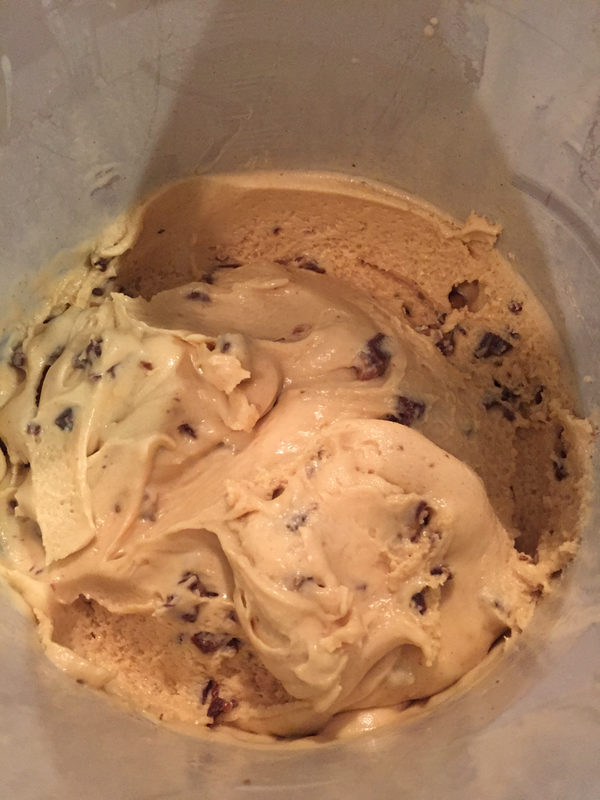 Let it rest in ice/ice cream salt for a few hours so it will be the right scooping consistency. You won’t be disappointed! Combine peaches, water and 1 cup sugar in saucepan and mix well. Bring to boil, reduce heat and simmer ten minutes. Remove from heat. Melt butter in 3 quart dish in oven. Whisk remaining one cup sugar, flour, and milk. Pour over butter. Pour peach mixture slowly over all. Do not stir. Sprinkle cinnamon on top. Bake until golden brown--about 45 minutes. 2. Stir together flour and next 4 ingredients in a large bowl; stir in eggs and next 4 ingredients, stirring just until dry ingredients are moistened. Sprinkle 1 cup toasted pecans into a greased and floured 14-cup Bundt pan. 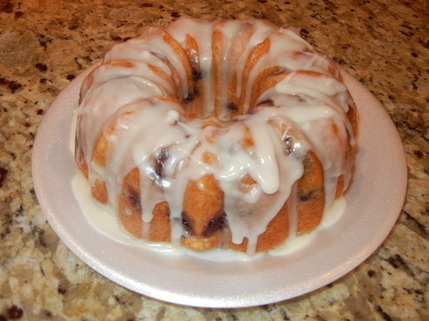 I divide the mix between two smaller Bundt pans to make two cakes. Spoon batter over pecans. 3. Bake at 350° for 1 hour to 1 hour and 10 minutes or until a long wooden pick inserted in center comes out clean. If making two smaller cakes adjust time and begin wooden pick test at around 30 minutes. Cool cake in pan on a wire rack 15 minutes; remove from pan to wire rack, and cool completely (about 2 hours). 2. Separate egg yolks from whites, reserve whites for meringue. 3. Beat egg yolks with milk (I just use a fork to do this) and add to dry mixture from step 1. Add stick of butter and stir. 4. Cook in double boiler until thickened. Be sure to stir constantly. It will be thinner than a regular instant pudding, but you will be able to feel it thickening up as you stir it. Remove from heat and let it cool. 5. After about 5 or 10 minutes of cooling, stir in vanilla. 6. Layer half the box of vanilla wafers in the bottom of a dish (I use the lasagna disposable pan because it's deep enough for the layers). Peel and slice bananas (not too thin!) on top of the vanilla wafer layer. Spoon or pour 1/2 the pudding over the bottom layers. 7. Repeat the layers--vanilla wafers, then bananas, then remainder of pudding. In a mixing bowl, combine beef, egg, garlic, green onions, bread crumbs, ketchup, Worcestershire, and mustard. Mix well. Season with sat and pepper. Form meat mixture into nine equal balls. Place in prepared muffin tins. Brush with chili sauce. 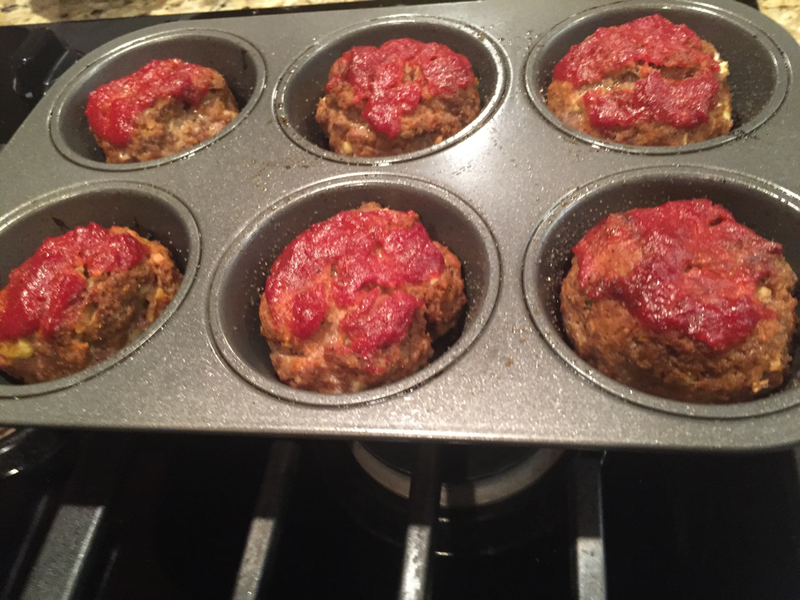 Fill any unused muffin tins with water to prevent pan warping. Bake at 400 degrees for 29 to 25 minutes or until no longer pink in center. Drain off fat. Leftovers can be frozen. 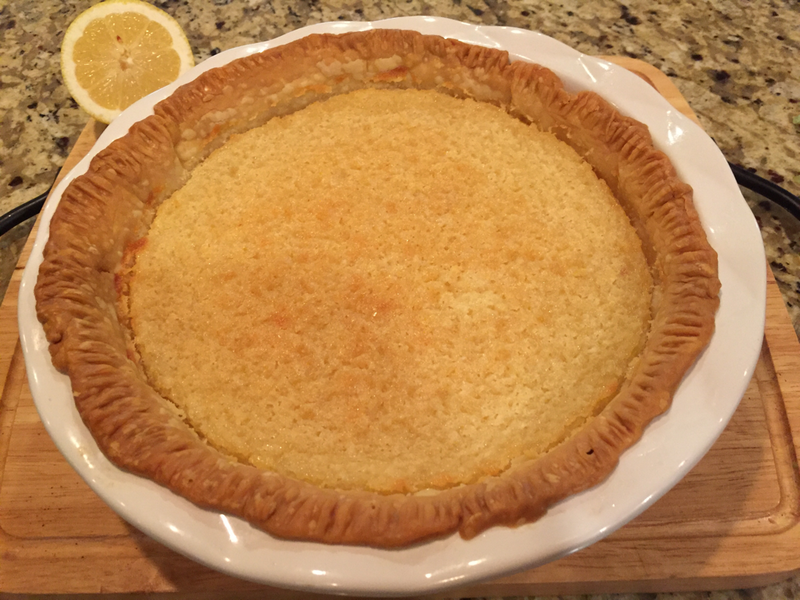 1 unbaked pie shell 9"
Beat eggs thoroughly with a fork and add to the sugar and flour. Add butter, melted, and buttermilk. Mix well. Fold in vanilla extract and lemon juice. Roll out crescent rolls into individual triangles. 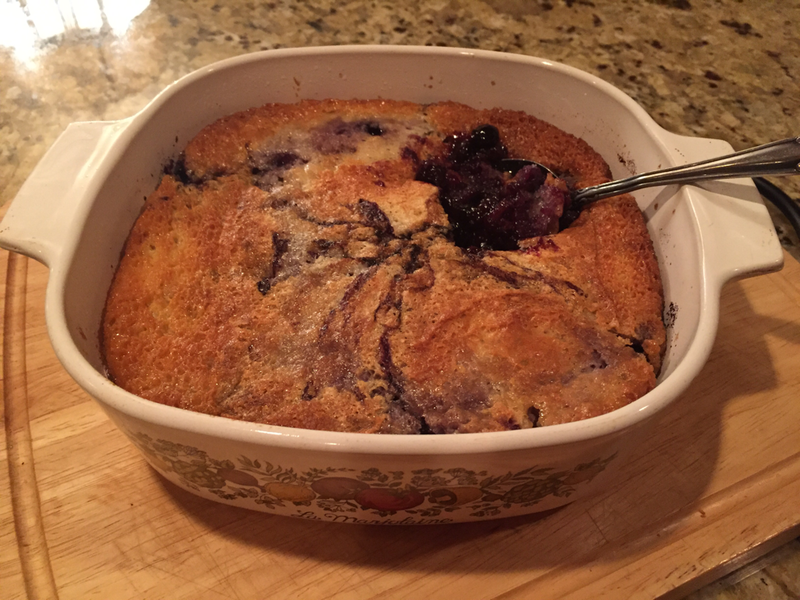 Put one tablespoon of blueberries on the widest end of the triangle, sprinkle with 1/2 teaspoon of powdered sugar, and roll up. Pinch sides to seal completely. Lightly spray a pan with cooking spray and transfer turnovers to baking pan. Bake in the preheated oven until golden brown (about 12 to 15 minutes). Remove to cool for a couple of minutes. Dust each turnover with powdered sugar. I then squirt the vanilla frosting as an accent on top. ​Act like you've been slaving in the kitchen for hours and serve to your appreciative family. Meanwhile, place the bottom crust in your pan. Fill with apples, mounded slightly. 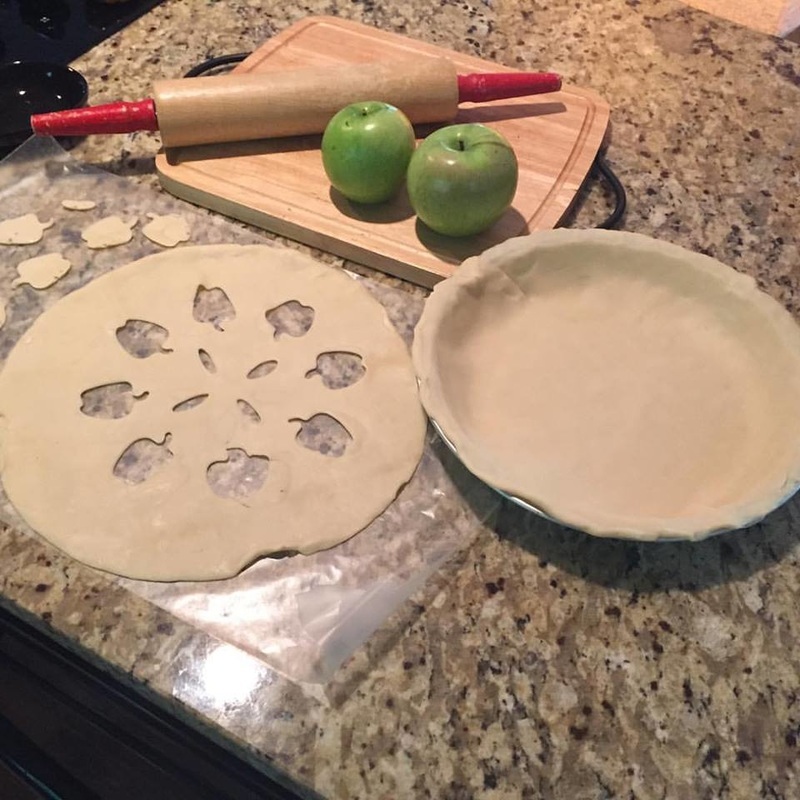 Cover with a lattice work crust or cut designs in the top crust, lay on top, and pinch closed. Gently pour the sugar and butter liquid over the crust. Pour slowly so that it does not run off. Brush egg white over crust for browning purposes. Heat a large heavy bottomed pan over medium heat. Heat vegetable oil and add diced onion. Sauté until soft. Crumble the Italian sausage into the onions and add garlic. Cook until sausage is no longer pink. Stir in crushed tomatoes,vegetable broth, basil, salt and pepper. 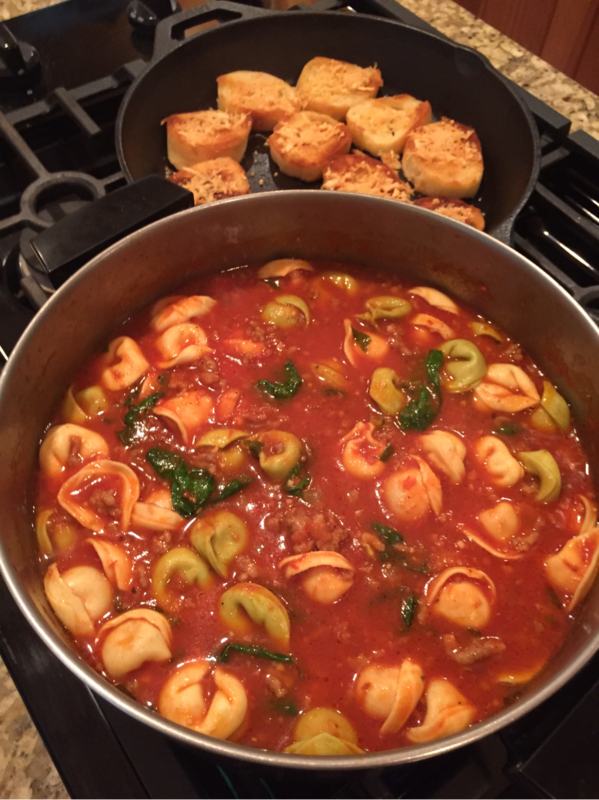 Add tortellini and spinach and simmer 10 more minutes or until pasta is tender. Slice baguette into 1/2 inch thick slices. Butter one side and put butter side down in hot skillet until golden brown on bottom. Flip over and sprinkle with Parmesan while waiting for other side to brown. Allow Parmesan to melt. In large mixing bowl combine all ingredients. 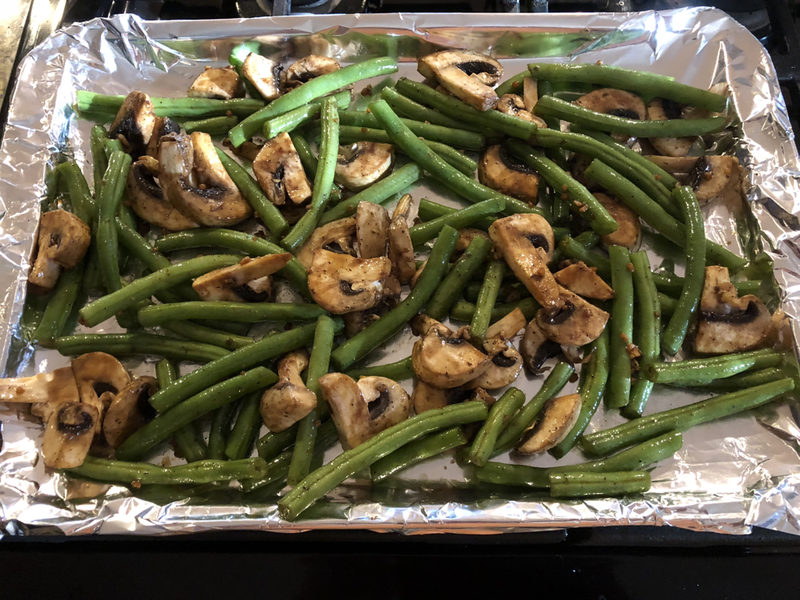 Toss to combine and lightly coat green beans and mushrooms in oil mixture. Spread in even layer on large baking sheet and cook in oven 15-20 minutes until browned. Serve hot and enjoy! 2. Lightly grease 9 x 13 inch baking dish. 3. Put chicken breasts between pieces of wax paper and gently pound (I use a rolling pin. )to 1/2 inch thickness. 4. Whisk together egg and milk in a bowl. 5. Put seasoned bread crumbs in wide shallow bowl. 6. Dip chicken breasts in egg/milk mixture and then in bread crumbs. Turn and coat thoroughly. 7. Heat olive oil in large frying pan over medium-high heat. 8. Brown chicken on both sides until golden brown--about 4 minutes each side. Arrange chicken in baking dish. 9. 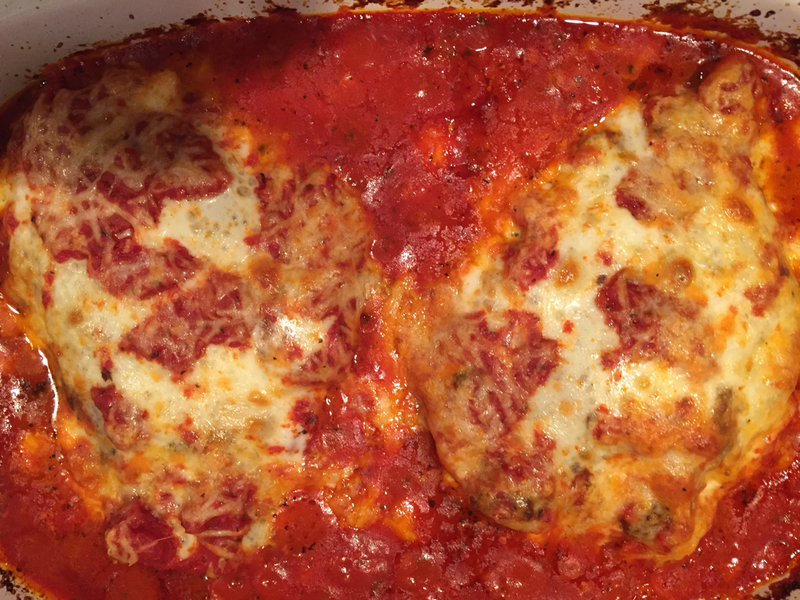 Place two slices mozzarella cheese on each breast. Pour jar of favorite spaghetti sauce over all. Sprinkle with Parmesan cheese and a little more mozzarella. Bake about 30 minutes until bubbly. 10. Meanwhile cook pasta per package directions. Drain well. 11. Serve chicken over pasta. In a medium bowl, blend together softened butter, 2 cups flour,1/2 cup sugar. Press into the bottom of ungreased 9 x 13" baking dish. Bake 20 minutes until golden brown in preheated oven. in another bowl mix together the remaining 1 1/2 cup sugar and 1/4 cup flour. Whisk in the eggs and lemon juice and I add zest of 2 lemons. Pour over baked crust. Bake an additional 20 minutes. The bars will firm up as they cool. 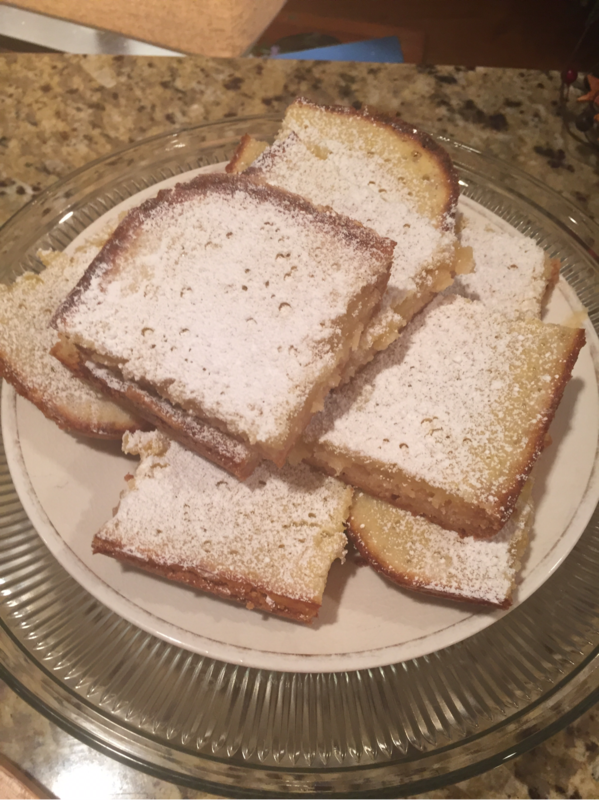 ​After cooling, cut into squares and dust with powdered sugar if desired. ​Mix everything together. Chill for about an hour. 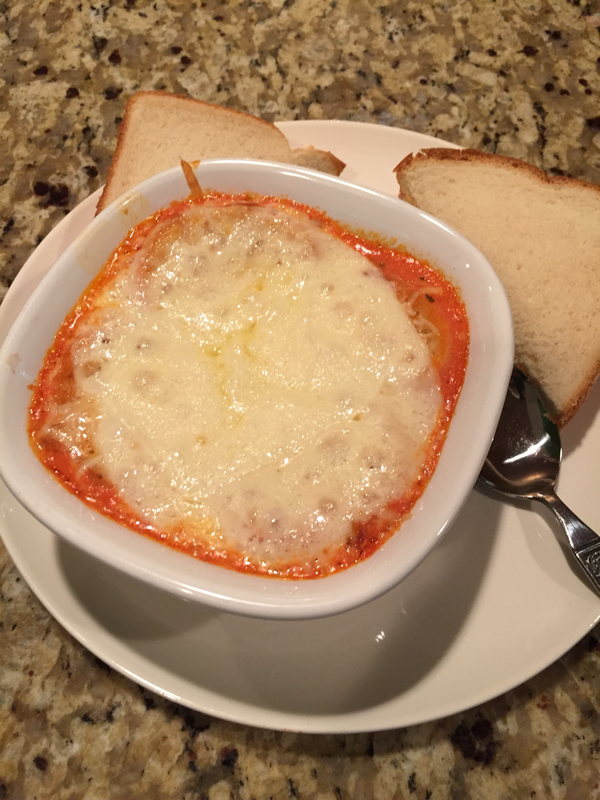 It is delightful to use pretzel bread to make sandwiches and serve with baked tomato soup (recipe given earlier on this page). Whisk together sugar, flour, milk. ​Bake at 350 degrees about 45 minutes to an hour. Combine the brown sugar, flour, and pecans in a mixing bowl. ​Blend the eggs and butter in a small bowl. Add to the pecan mixture with vanilla and mix well. ​Fill greased and floured miniature muffin cups 2/3 full. ​Bake at 340 degrees for 18 to 20 minutes or until golden brown and muffins test done. ​Remove from muffin cups immediately. Wash beans in cool water. Snap off ends and discard and then snap remainder of beans into bite-sized pieces. Combine water, ham hock, and grease in pot over medium-high heat. Season with salts, pepper, garlic powder, and onion powder. Bring to boil and then reduce heat to medium-low and add beans. Peel and add four or five peeled small new potatoes the last hour of cooking. Mix 1 cup cornflakes (crushed), pan of cornbread, 6 eggs, and turkey broth. Add celery and onion. Salt and pepper to taste. Add stick of melted butter. Bake one hour at 400 degrees until done. Add 3-4 tablespoons flour and brown. ​Add 1-2 chopped boiled eggs and scraps of chicken meat. This is a comfort food from my childhood. I love this congealed salad with a few ritz crackers. Yum! In a measuring cup, mix reserved pineapple juice and enough water to make 1 cup. Pour into pot and bring to a boil. Add lime jello mix and stir until dissolved. Stir mayo and evaporated milk together in a mixing bowl. Add in jello mixture and blend completely. Stir in cottage cheese, pineapple and pecans. 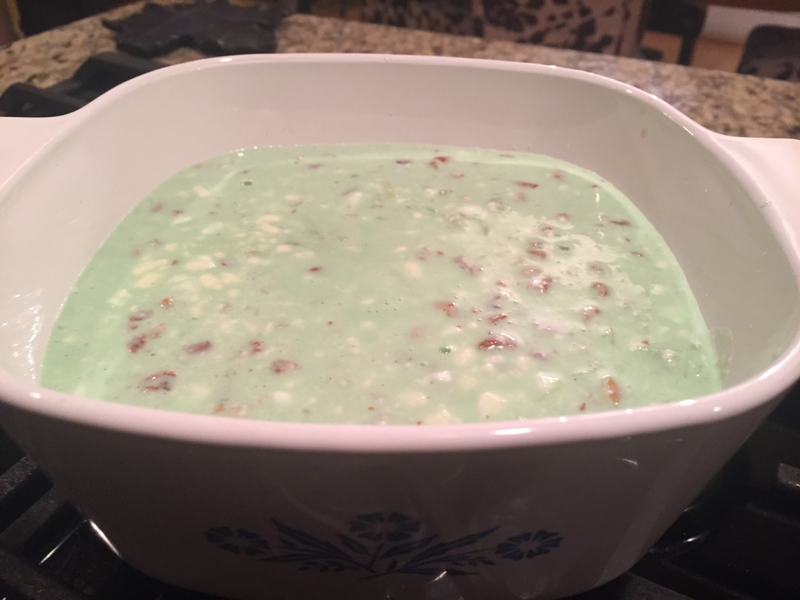 Pour into serving bowl and refrigerate overnight or until congealed. Combine macaroni, luncheon meat, cheese, pepper, and onion. Stir well and chill. Combine mayo, milk, vinegar and salt. 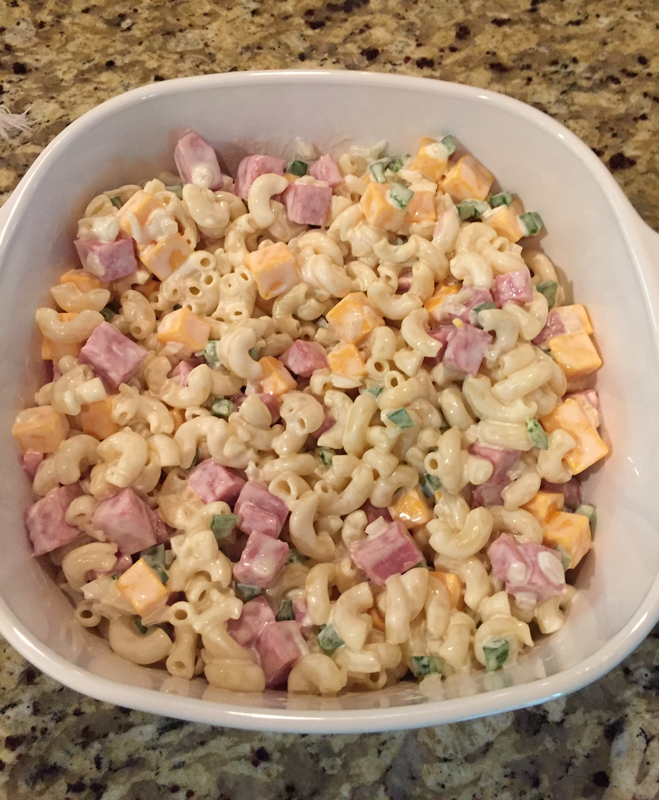 Pour over macaroni salad and toss well. Then I chill again. ​ Thaw orange juice and lemonade. Combine with sugar and water in bowl. Stir until sugar dissolves. 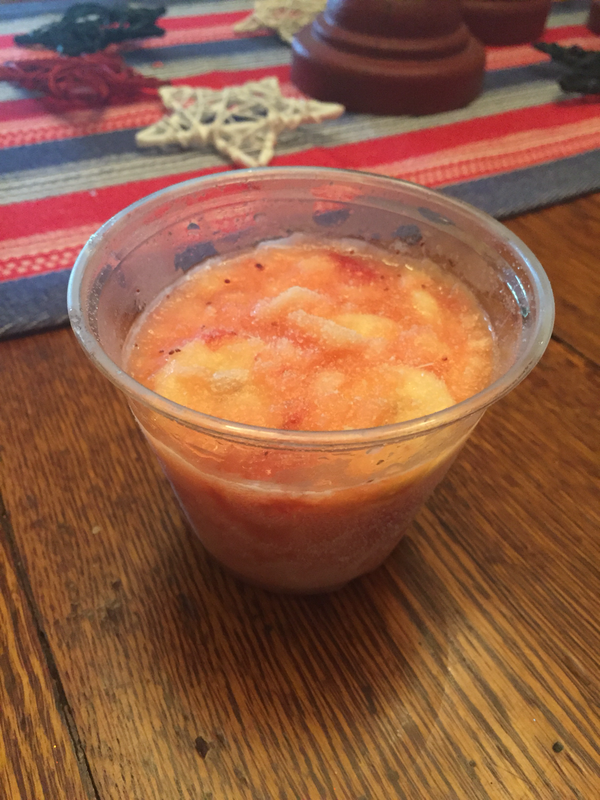 Add bananas, strawberries, pineapple, and cherries. Spoon into clear plastic cups (disposable punch style). Cover with saran wrap and freeze until firm. Makes about 1 dozen cups. Great to freeze and have available as wanted. ​ Preheat oven to 350 degrees. Cream together the butter, white sugar, and brown sugar until smooth. Beat in eggs, one at a time, then stir in vanilla. Dissolve baking soda in hot water. Add to batter along with salt. Stir in flour, chocolate chips, and nuts. Drop by large spoonfuls onto ungreased pans. Bake for about 10 minutes in preheated oven or until edges are nicely browned. ​ In a dutch oven, cook sausage, ground beef, onion, and garlic over medium heat until well browned. Stir in crushed tomatoes, tomato paste, tomato sauce, and water. Season with sugar, basil fennel seeds, Italian seasoning, 1 tablespoon salt, pepper, and two tablespoons parsley. Simmer, covered for about 1 1/2 hours, stirring occasionally. Bring a large pot of lightly salted water to a boil. Cook noodles in boiling water for 8-10 minutes. Drain noodles and rinse with cold water. In a mixing bowl, combine ricotta cheese with egg, remaining parsley, and 1/2 teaspoon salt. Preheat oven to 375 degrees. ​To assemble: spread 1 1/2 cups of meat sauce in the bottom of a 9 x 13" baking dish. Arrange 6 noodles lengthwise over meat sauce. Spread with 1/2 of ricotta cheese mixture. Top with a third of mozzarella cheese and parmesan cheese. Cover with foil with cooking spray or make sure foil does not touch cheese. Bake for 25 minutes. Cool 15 minutes before serving. 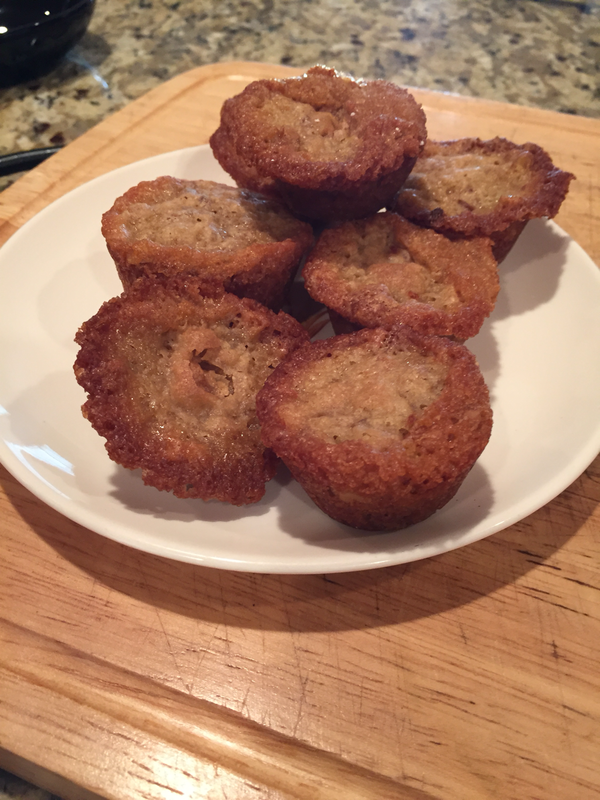 Beat softened butter, brown sugar, and cinnamon together in a bowl with electric mixer until creamy and smooth. ​This butter spread is delicious on baked sweet potatoes, but is also great on carrots, pancakes, or waffles. ​ Preheat the oven to 350 degrees. Grease a baking dish. ​Cut each apple into 8 wedges and set aside. ​Separate the crescent roll dough into triangles. ​Roll each apple wedge in crescent roll dough starting at the smallest end. Pinch to seal and place in the baking dish. ​Melt butter in a small saucepan and stir in the sugar and cinnamon. Pour over the apple dumplings. Pour Mountain Dew over the dumplings. ​Bake for 35 to 45 minutes in preheated oven or until golden brown. In a large skillet over medium heat, melt butter with olive oil; add garlic, and cook until lightly brown, stirring often. 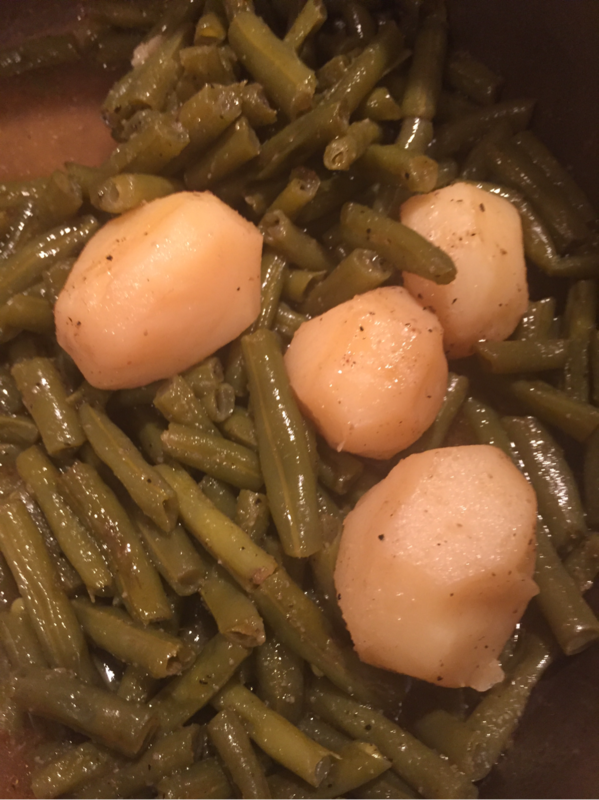 Stir in green beans, season with salt and pepper. Cook until beans are tender, about 10 minutes. Gradually add milk, stirring whole time. Continue cooking until it is a thick gravy. Stir in ham and sliced eggs. Pour into buttered baking dish or dish sprayed with Pam. Top mixture with shredded cheddar cheese. 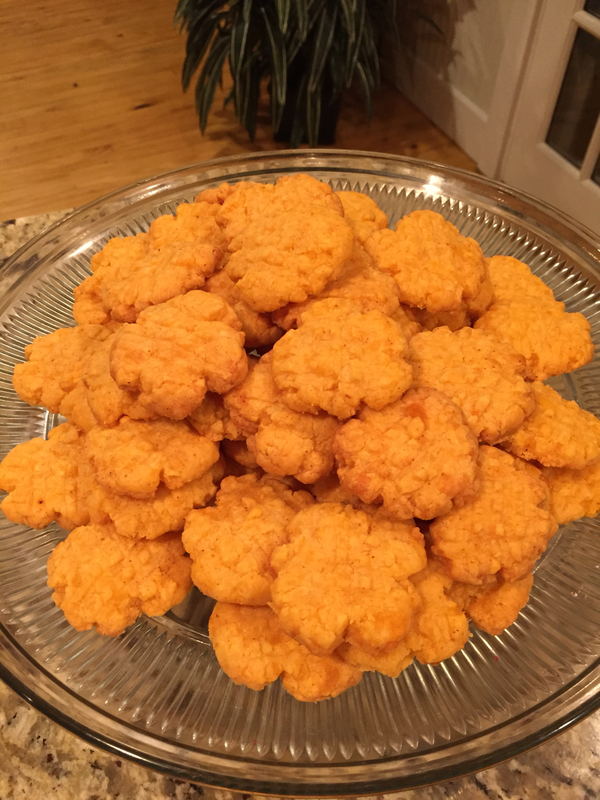 Cut each biscuit into four pieces. 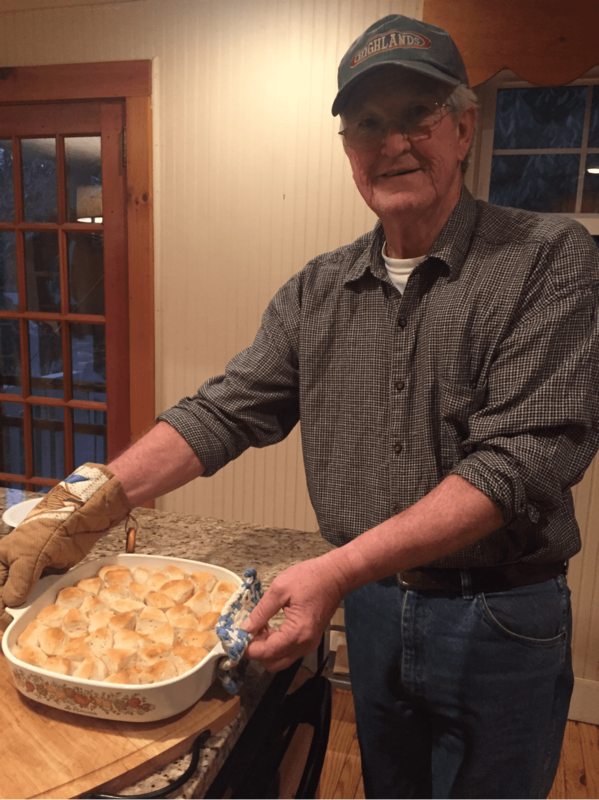 Place the quartered biscuits on top. Bake at 365 degrees until biscuits are browned (about 15 minutes or so). ​Use mixer and mix all ingredients until fluffy. Pour into crust and refrigerate until firm. Overnight is best. This can be made with limeade, too. 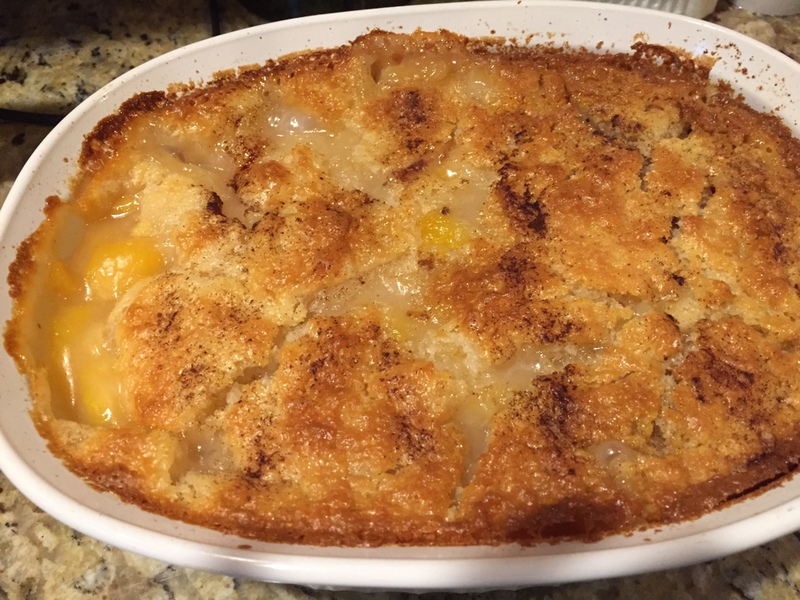 ​Top with whipped cream and garnish with lemons. Mix eggs, cornmeal, corn, and sour cream. pour batter over melted butter in large iron skillet. Heat oven to 350 degrees. Spray 13 x 9 inch glass pan with Pam. In skillet brown ground beef and onion. Drain grease. Stir in seasoning, soup, and sour cream and blend thoroughly. Place half of tater tots in single layer in prepared pan. 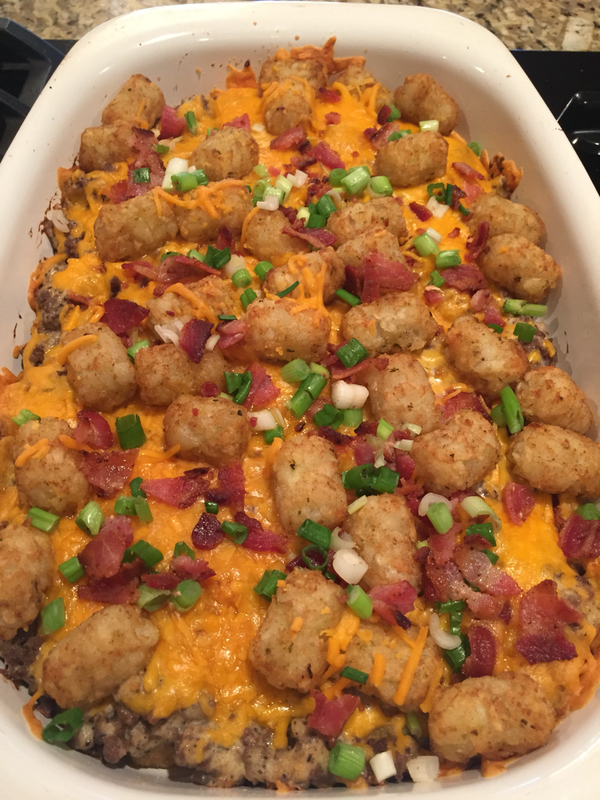 Spread beef mixture over tater tots. Top with 1/2 chopped bacon, 1 cup cheese, remaining tater tots, then remaining 1 cup cheese. Bake 40 minutes then top with remaining chopped bacon and cook additional 10 minutes or until potatoes are lightly brown and edges of casserole are bubbly. Sprinkle with green onions. Peel back the husks without removing. Remove silk. Salt and pepper corn and add a tablespoon of butter. Close the husks back over the corn. Wrap tightly in aluminum foil. Grill over hot coals for approximately 30 minutes, turning periodically with tongs. Delicious! Preheat oven to 350 degrees. Scrub each potato and then pierce three or four times with a fork. Rub olive oil over potato. Sprinkle sea salt on potato. Place potatoes directly on oven rack and bake 90 minutes.